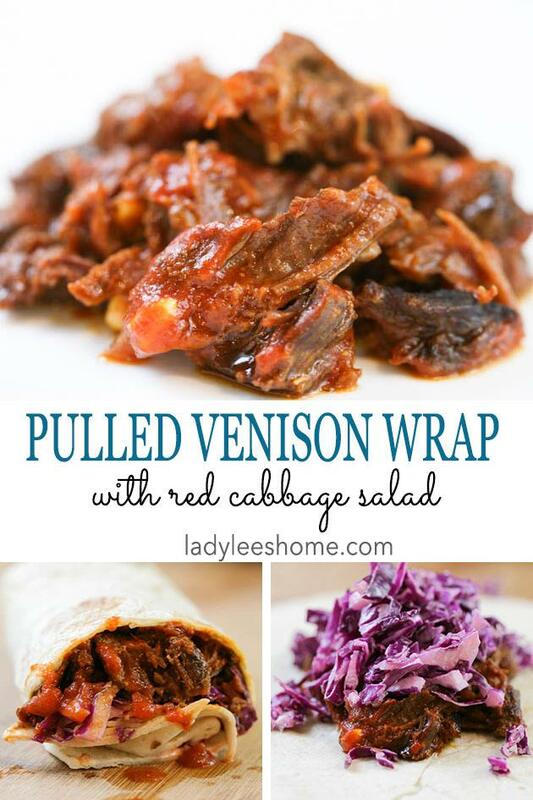 This delicious pulled venison wrap recipe is a wonderful way to use your venison meat. 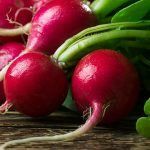 You can use it in a wrap like I am going to do here or you can have it as a main dish over rice, quinoa, or mashed potatoes. Add a salad on the side and it’s a great, healthy dinner! Hunting season snuck up on me this year! My outdoor butchering area is set, the large coolers are ready but my freezer is still a quarter of the way full with deer meat from last year. I was focusing on cleaning up my chicken operation these past few weeks and had all those fresh chickens that I forgot about the venison I still have in the freezer. I don’t have access to the same awesome group of hunters you might have seen here on the blog before (check out my deer butchering post here). They are my husband’s friends. The three or four of them all used to go hunting together during hunting season and usually someone gets something. They would bring it to the homestead and we would all butcher and process together. I enjoyed those mornings a lot! But I separated from my husband back in June and I believe I’ve lost the hunters in that process. But not to worry! I have the best neighbors a person can ask for. They all know I like venison and are on a mission to get me a deer. I might even get to learn how to hunt this year which is something I’ve always wanted to do. So one way or another, I am going to get at least some venison meat in the freezer so it’s time to clean it up and cook some of last year’s meat. I’ve made pretty much anything I make with beef with venison. 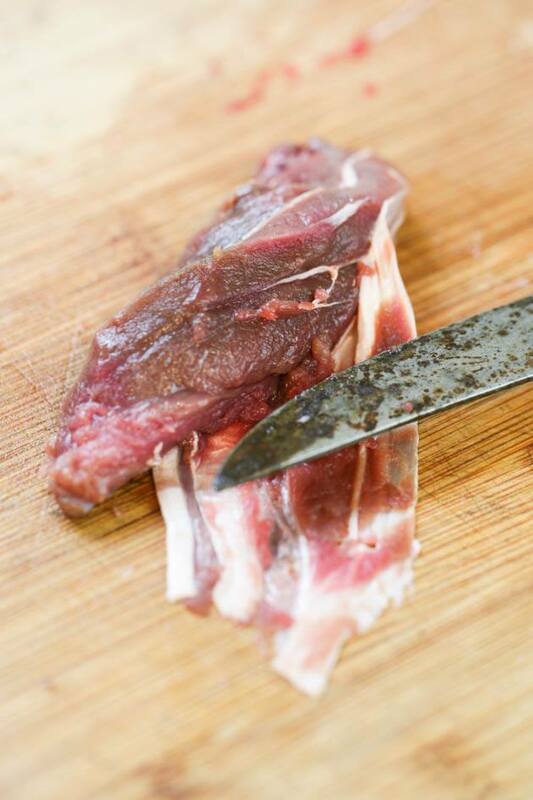 It’s leaner meat but other than that you won’t feel any difference. And it’s so much healthier for us (unless your beef roams around free in nature like the deer did before it was butchered). 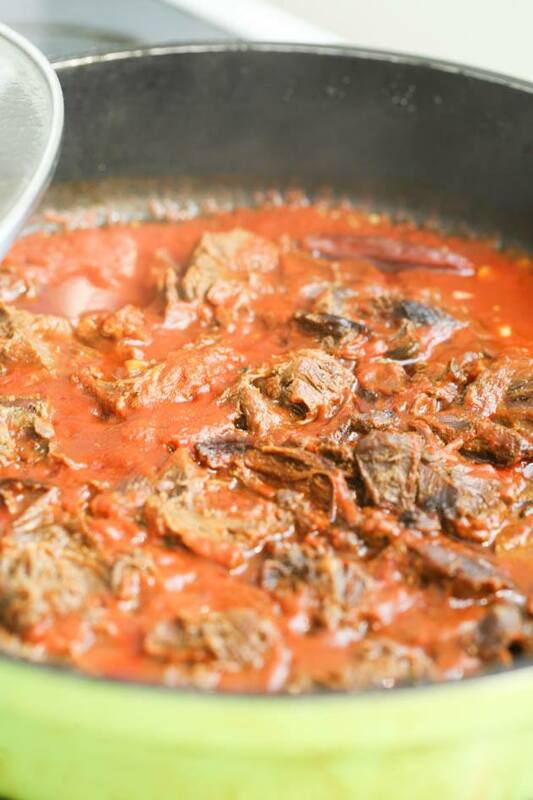 Anyway, this time I decided to make this pulled venison in tomato sauce. 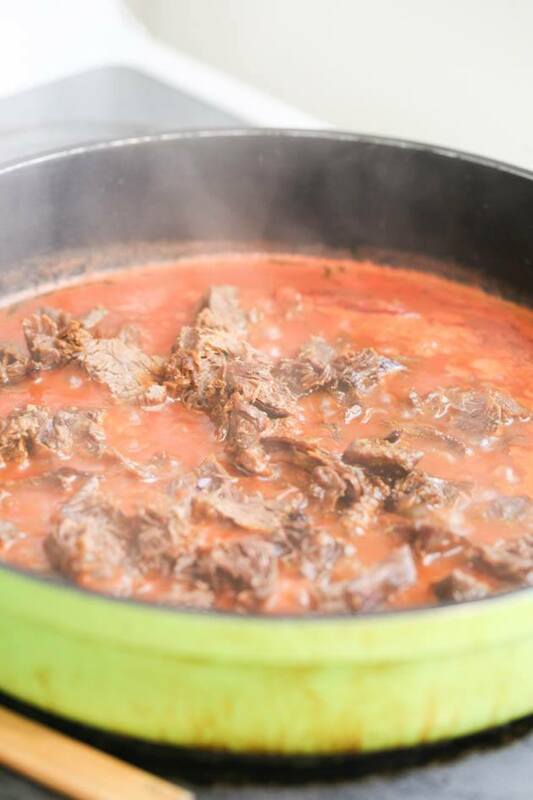 It’s a recipe that my mother gave me a long time ago for beef but it’s just as good with venison. 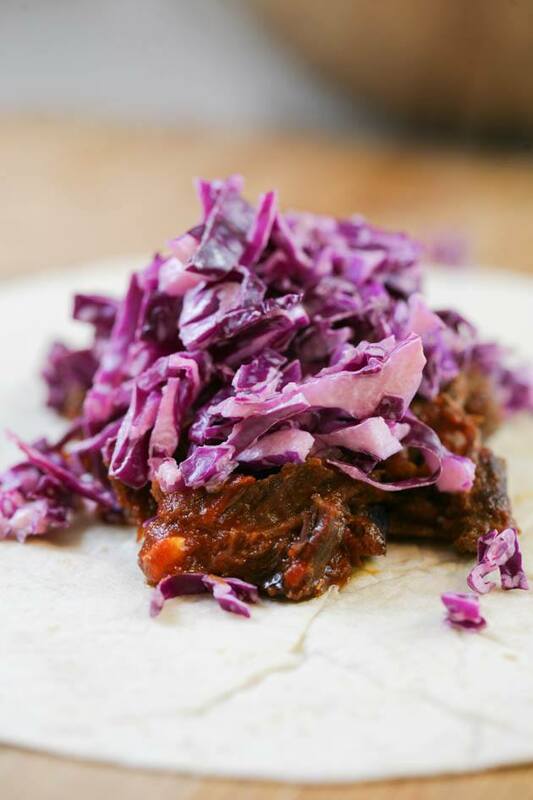 I felt like wrapping it with a tortilla that day when I made it but really you can use it as a main dish. You can add a side of brown rice, white rice, quinoa, mashed potatoes or anything else that you like. I always have a salad with every main meal so I encourage you to add a salad. Maybe this red cabbage salad or a beet salad or a salad from this list of 32 winter salads. Butchering is a hard enough job so I usually don’t clean the meat much then. I just bag it in portions and stick it in the freezer. 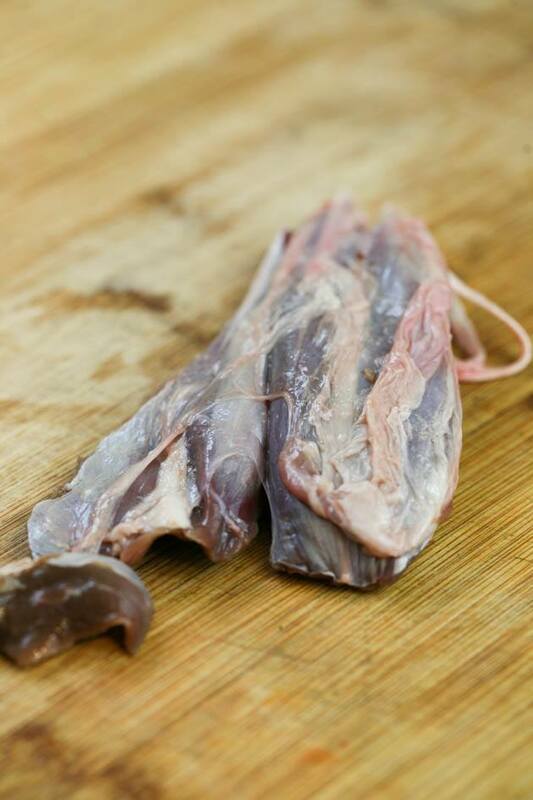 There is that silvery layer of tissue that you are probably very familiar with if you hunt and butcher deer. I’ve learned that you can use this silvery stuff from the legs and backstrap to make sinew so next time that I process a deer I might try to remove it more carefully but the pieces that I used here needed some cleaning. 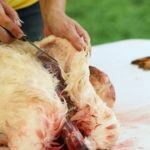 I place the knife between the silvery tissue and the meat and kinda slid the knife along to separate the tissue from the meat. Once the meat is clean, I put it back in the bowl and keep the silvery part for the dog. It takes a little bit of time to clean each piece but it’s worth the effort. 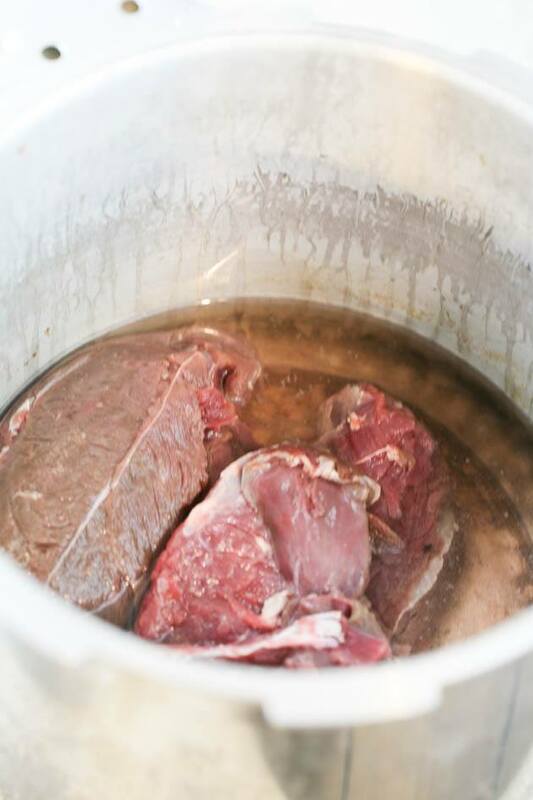 Once the meat is clean and ready to go, I process it in a pressure cooker. You can boil it for a few hours (you would do the same with a chunk of beef too) but to cut the time I prefer using the pressure cooker. 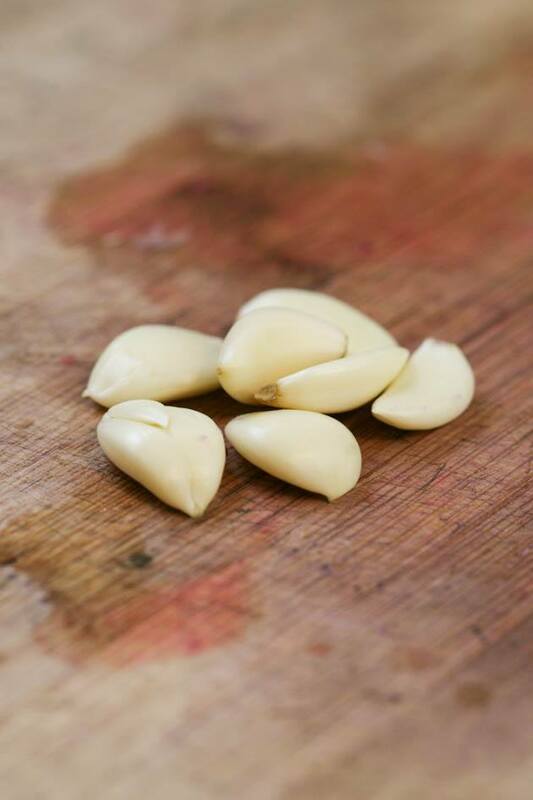 If you boil the meat, you can add a couple of carrots, an onion, and a few garlic cloves in the pot of water. Add the meat and bring it to a boil, then lower the heat and let it cook for three or four hours. 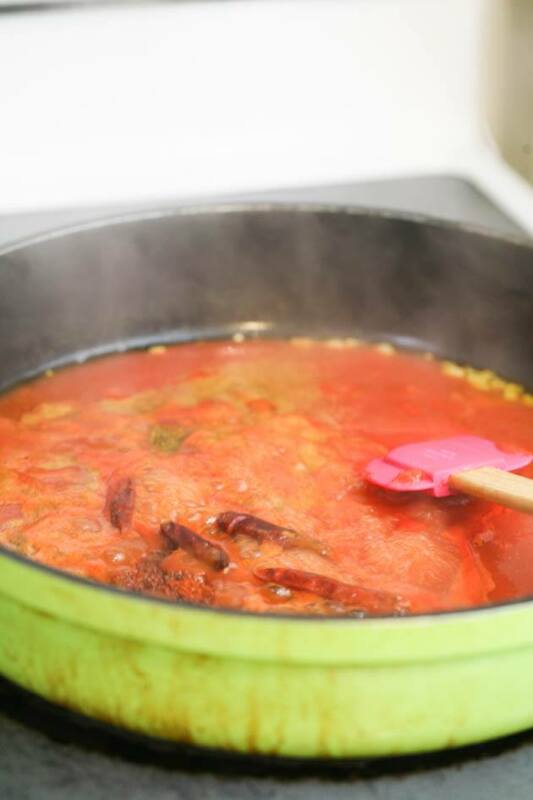 You’ll end up with beef broth in addition to the soft meat. 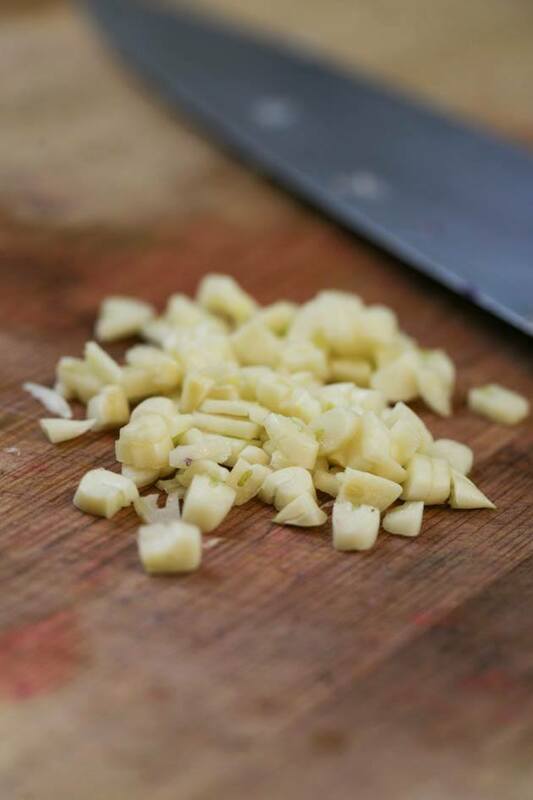 Remove (and eat) the veggies and then use some of the broth in this dish, store it in the fridge, can it, or freeze it for later. I choose to use the pressure cooker instead. I have a Presto pressure cooker but you’ll want to follow the directions of your own cooker for this part if you have a different cooker. I placed the meat in the pot and added two cups of water. 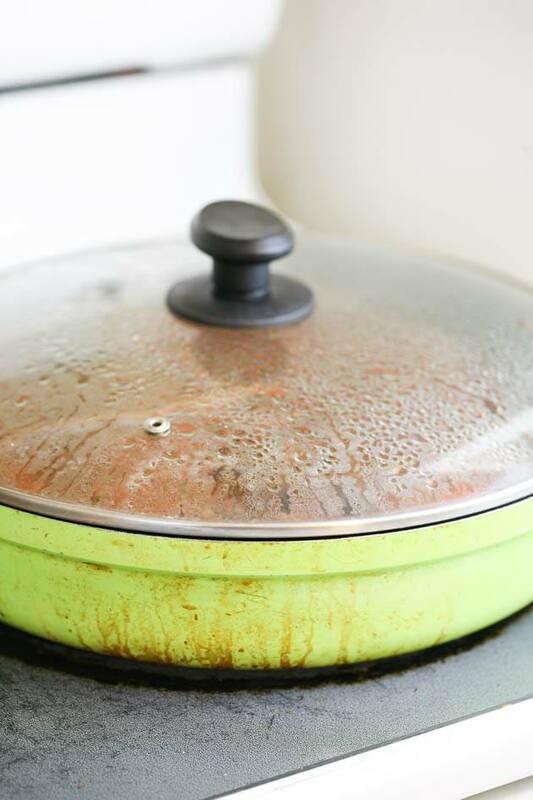 I closed the pressure cooker and turned the heat on medium-high. Then I just watch for the weight that is on top of the valve to start rocking. Once it started rocking I lowered the heat a bit to reach a point where it keeps rocking constantly and gently for 45 minutes. And chopped them into little pieces. Once the 45 minutes were up I took the pressure cooker off the heat and into the sink. I used the cold water to cool the cooker quickly. 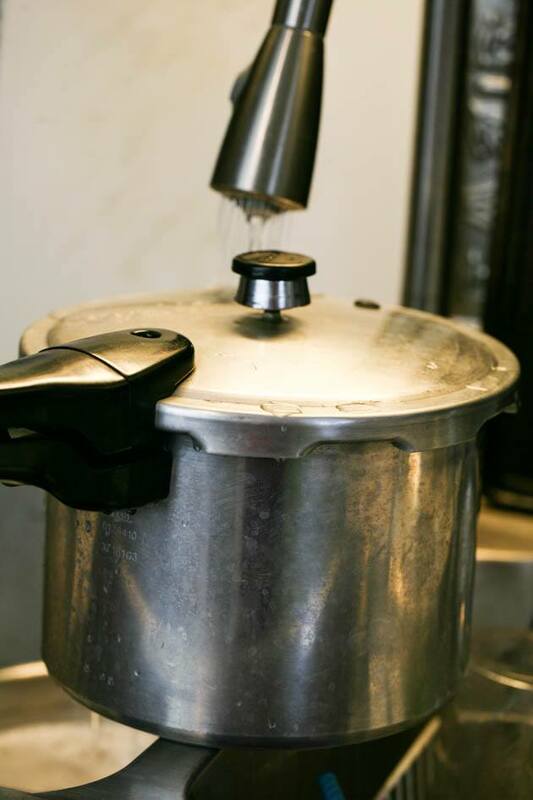 You have to be careful here because when the cool water touches the pot the steam releases quickly. 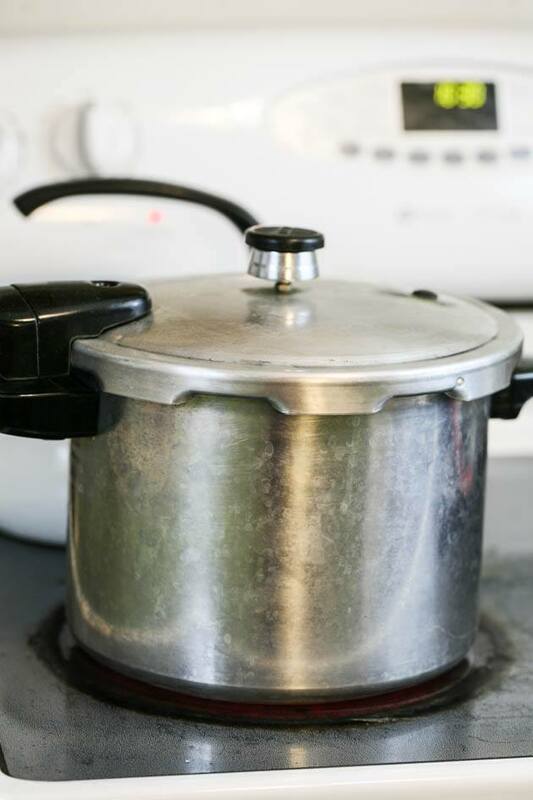 I don’t remove the weight at all… I just wait for the hissing sound to stop so I know the cooker has cooled completely and then I open the lid. And used a fork to pull it apart. It’s very soft so this is an easy task to do. I started with a couple of tablespoons of olive oil. When it was hot I added the garlic and let it cook for a couple of minutes. Next, I added one 15 oz can of tomato sauce and a cup of beef broth. It’s much tastier if you make it with 3 or 4 fresh, ripe, diced tomatoes instead but I didn’t have any so I used the canned sauce. And add the seasoning. Half a teaspoon of paprika, half a teaspoon of cumin, 3 or 4 Japone’s peppers (you can find them where to the Mexican stuff is at the grocery store but if you can’t find them you can use a few red chili flakes instead), and salt and pepper to taste. Cover the pot and let this cook for 30 minutes or so. The sauce will reduce and the meat will soften even more and will soak up all the good stuff. And just rolled the thing together. It was so good! 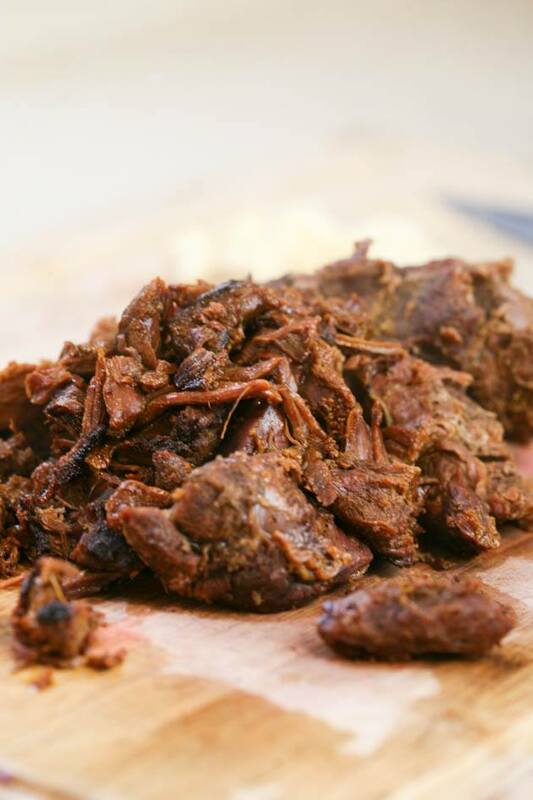 If you hunt, this is one great way to use your venison. 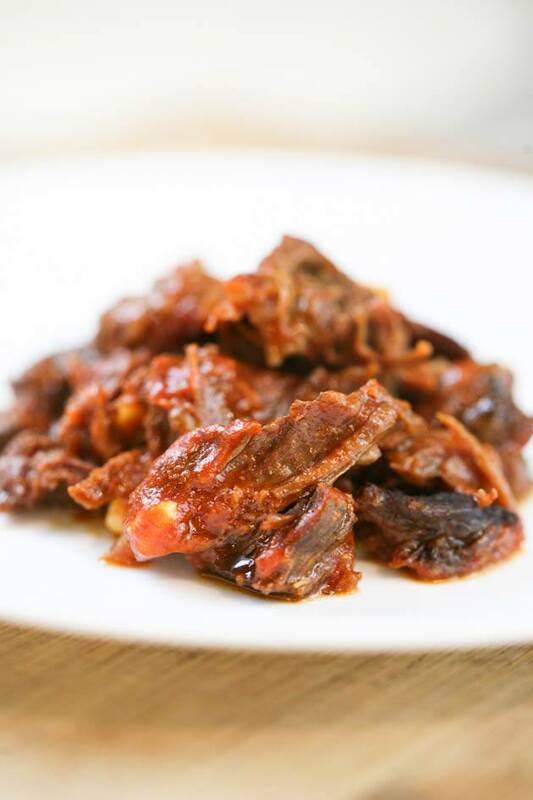 Another great way is making simple jerky in the oven. You can find the recipe of that here. 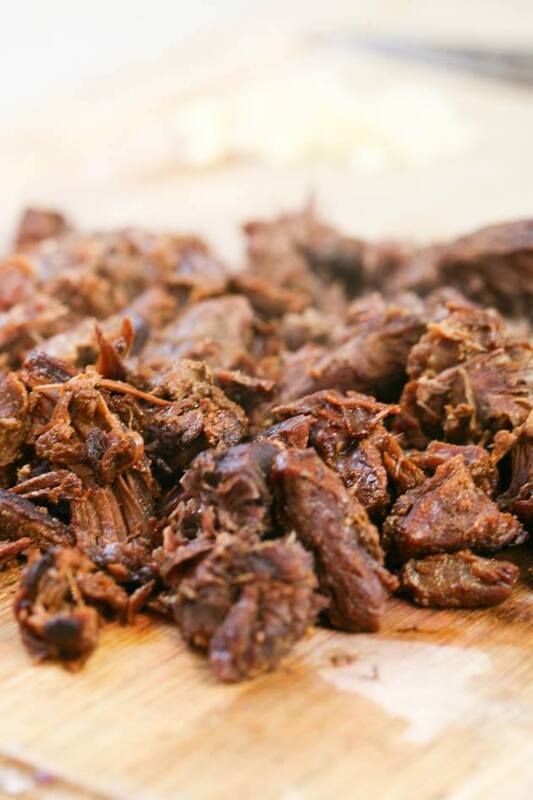 But even if you don’t hunt you can still do this with a beef chuck roast. It’s a tasty and healthy recipe! 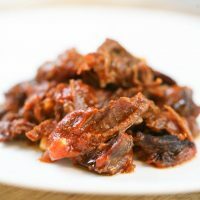 lean the meat and process it in a pressure cooker or boil it for four hours in a pot of water with a couple carrots, onion, and a few garlic cloves. 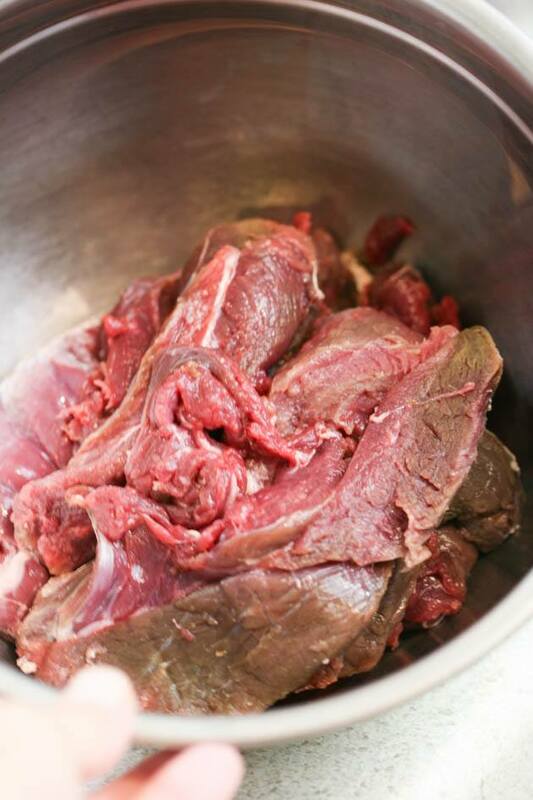 Remove the meat from the pot and pull it apart with a fork, set it aside. 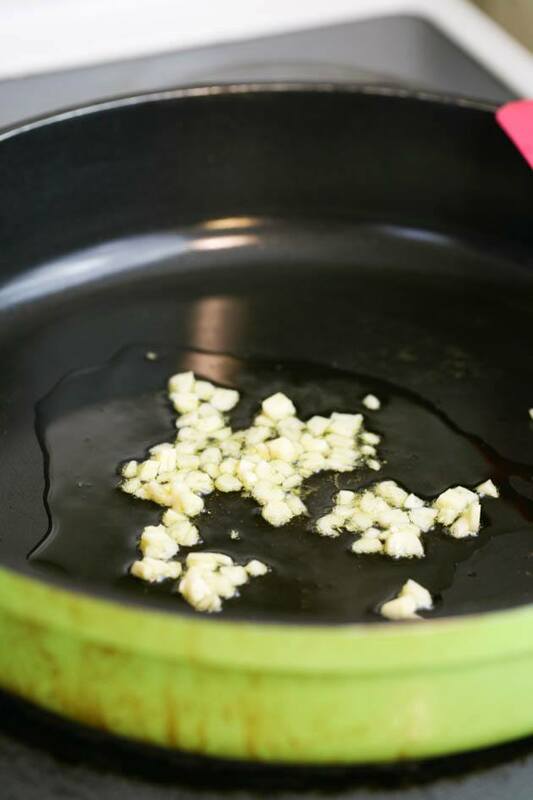 Heat the olive oil in a large shallow pot and add the garlic. Stir and let cook for a few minutes. 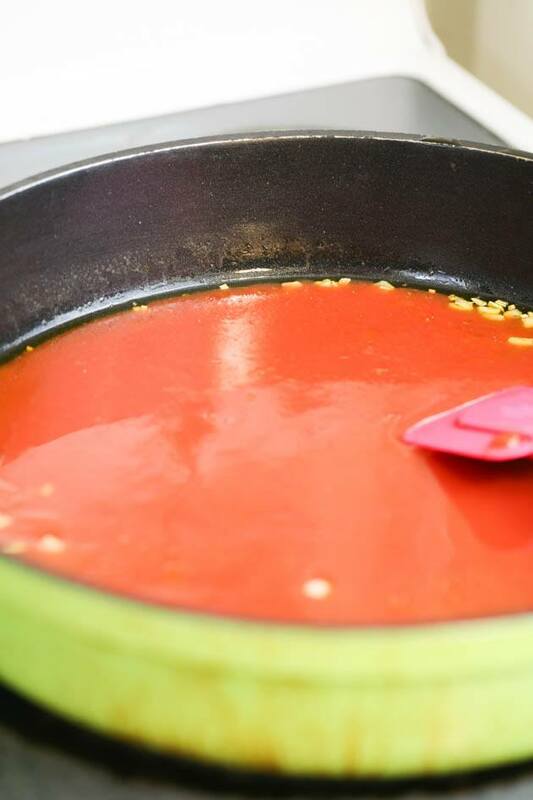 Add the tomato sauce and the broth, stir. Add the paprika, cumin, Japone's peppers, salt, and black pepper. Stir. Add the meat, cover the pot and cook for 30 minutes on medium heat. 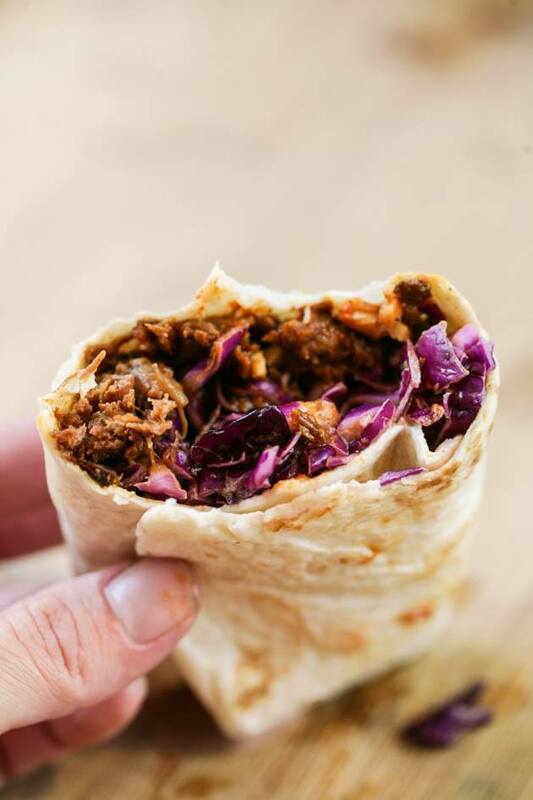 Enjoy in a wrap or as a main dish!